St Kilda Today: Is this the beginnings of erosion from melting icecaps and rising sea levels - will an Australian carbon tax stop it? 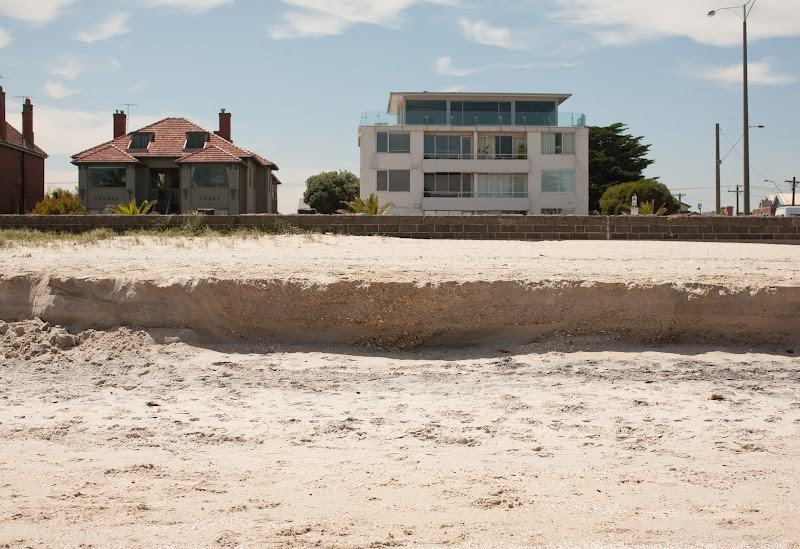 Is this the beginnings of erosion from melting icecaps and rising sea levels - will an Australian carbon tax stop it? Australia’s Domestic greenhouse gas emissions in 2008 totalled 559 million tonnes of CO2 equivalent (Mt CO2-e) or about 1.24% of estimated global emissions (45 Gt CO2-e = 45,000 Mt CO2-e).